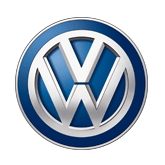 Experience the customer focus of the Ebbett Group combined with the innovative technology that Volkswagen has brought to the automotive world. With a long history behind it Volkswagen has come a long way from designing the original Beetle in 1931, to the fuel saving BlueMotion technologies developed in their modern vehicles. Here at Ebbett Volkswagen we are proud to offer our customers a high street, lifestyle experience. We are committed to delivering quality customer experiences and this commitment has been recognised by us being named Volkswagen NZ Dealer of The Year award for 2016 & 2017. We strive to be a progressive dealership and we are eager to adopt new systems/technology if it can benefit our customers. We specialise in the sales of new and used vehicles, vehicle serving and supply of vehicle parts.